Last weekend, I celebrated my birthday with a most awesome trip to California wine country. We enjoyed incredible food, fabulous wine, so many beautiful views, and a epic time with dear friends. It was certainly a birthday to remember. All prints are buy one get one free in my Etsy shoppe until 9/11/16. Click to shop! Purchase a print (or more). Let me know which free print(s) you'd like in the notes section at checkout. You'll get one free print for every one you purchase. 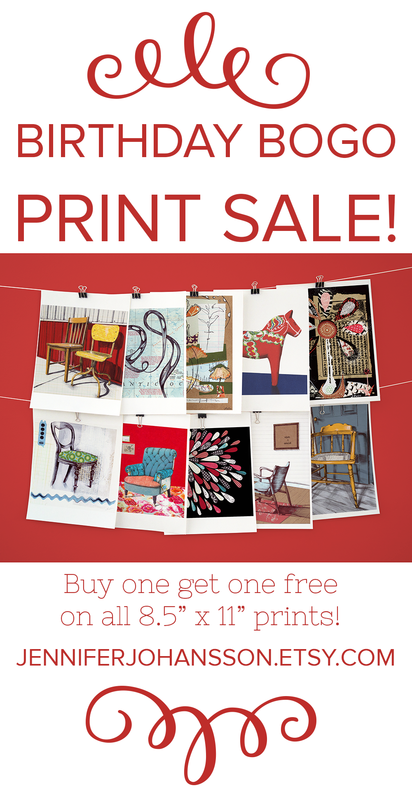 Unfortunately, fabric prints are not included in this sale. Purchase 2 or more prints and I'll throw in an extra 5" x 7" mystery print as well! My inventory is limited. That means if you've got your eye on a piece, you'll want to order today. Sale ends Sunday, September 11th at 10 PM Central time. Share this blog post with your art lovin' pals. Thanks for your support friends.